There is much discussion in the financial press regarding the upcoming Federal Reserve meeting on December 15-16 and the likelihood of an increase in the Federal Funds Rate, which has been held close to 0% by the Central Bank since the financial crisis of 2008. The futures market is currently pricing in a significant chance for a rate increase to between 0.25 - 0.50% at the upcoming meeting. This, in turn, has made precious metals investors increasingly nervous in recent weeks, as many have come to believe that rising interest rates mean gold and silver will fall, due to an expected move higher for the US Dollar after the rate hike. It is time to dispel this myth once and for all. 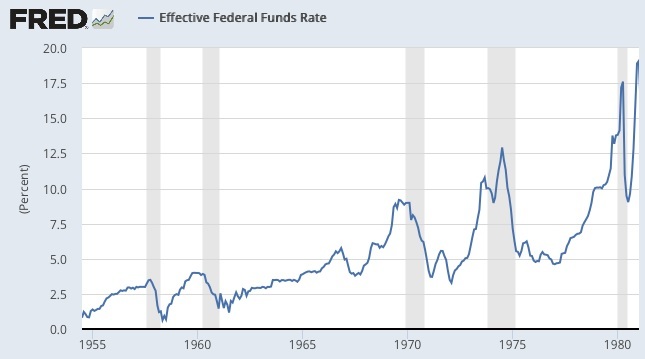 Indeed, in 70 years of publicly available data from the Federal Reserve Board itself, we can very clearly see that rising short-term interest rates correspond to rising precious metals prices. Both recent examples and historic trends will illustrate this point. An analysis of the Federal Reserve-controlled short-term interest rate reveals two distinct time periods in the post-WWII era. From the 1950's through 1980, interest rates were in a long-term rising cycle, from a low of 1% to a staggering 19% in 1980. Throughout this time frame there were several sub-cycles of falling rates, such as from 1969-72 and 1974-76; however, the overall trend during these decades saw interest rates rise. 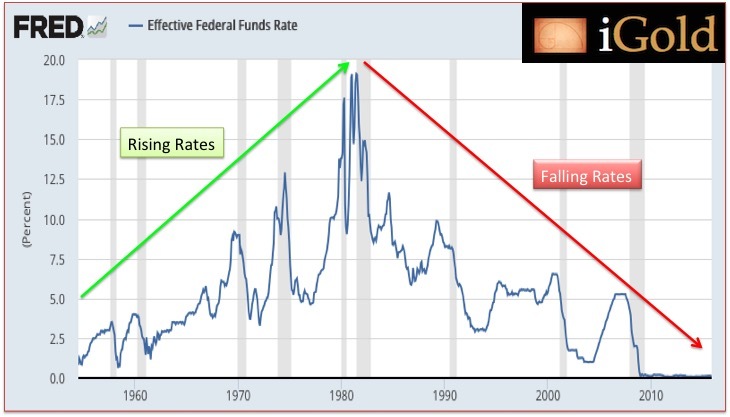 After rates peaked in 1980-81 under the Volcker administration, the Fed began a series of rate declines that has brought us down to the current 0% level. Again, shorter-term counter-trend rises occurred such as 1993-95 and 2003-07, but the longer-term downtrend has been firmly in place. Let us give two examples to illustrate the true correlation between short-term interest rates and precious metals prices. First, the most recent example. Below is a chart of the 2003 - 2007 rate hike cycle, showing the rise from 1% to 5.25%. 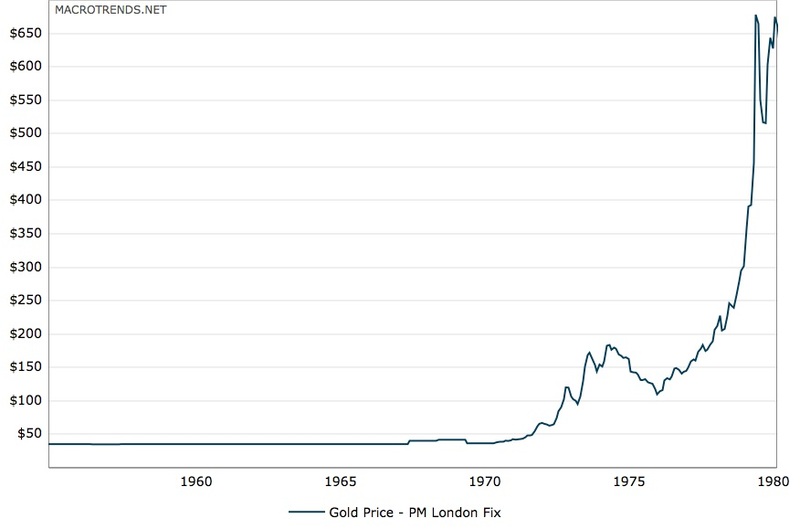 Following that is a chart of gold prices over the same time period. Here, we can see clearly that a rise in interest rates corresponded to a rise in gold prices as the price of the yellow metal rose from $325 to over $800 during this same time period. Now let us look at a longer-term example, the multi-decade rise in interest rates from 1955 - 1980. To be as clear as possible: a rising interest rate environment over these 25 years was the backdrop to the largest precious metals bull market in modern history, as gold broke the dollar standard at $35 per ounce an advanced over 2,000% through 1980. Why Fear Rising Interest Rates? I am uncertain where the fear comes from within the precious metals market regarding rising interest rates. The data does not support it. Sometimes investment myths take on lives of their own. Hopefully we can put this to rest. So, for the record, when do gold prices usually fall relative to interest rates? A careful look at the correlation between gold bear markets and interest rate cycles over the last 70 years reveals that gold typically declines after the peak of a rate cycle increase and as rates remain falling or low. 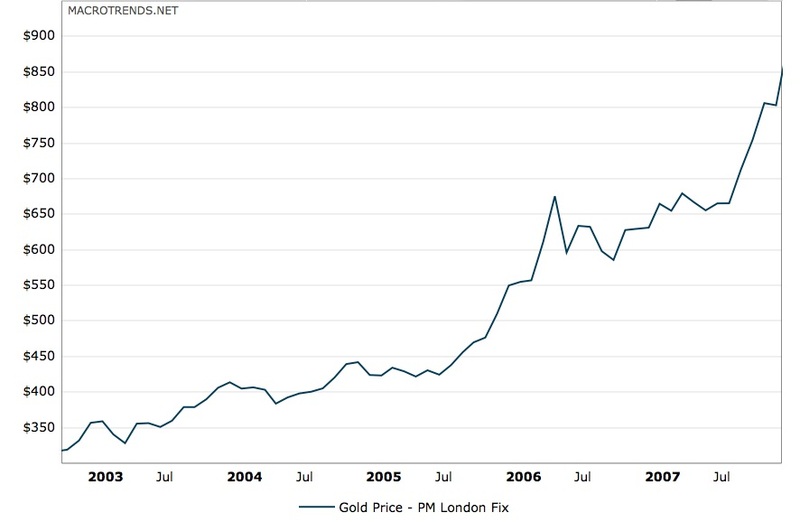 Such was the case for the peak in gold in 1980 and 2011. Current interest rates at 0%, having fallen for the better part of the last 35 years, are nowhere near a peak at this juncture. If anything rates are now forming a long-term low, from which we may see decades of increases into the future, which would support our thesis for decades of gains in the precious metals complex. Our technical model on the long-term gold forecast illustrates this expectation. Gold and silver continue to follow patterns indicative of long-term bottoms being put into place over the next 6-12 months. Note that nominal new lows in both metals fit with this model. Indeed, it would not be surprising should the actual final low for gold correspond with a Fed announcement of a rate hike, as the last remaining precious metals holders to believe this myth sell into the news. This bottom should be historically significant. While we do not predict a price explosion as many analysts have called for, a rounded long-term bottom is forming from which a multi-decade advance will emerge over the next five years. We monitor these emerging trend changes weekly with our free video updates.